In case you haven’t heard, Avengers: Infinity War is now in production. Joe and Anthony Russo’s blockbuster of epic proportions is slowly but surely coming together and as expected, the usual round of set photos and videos have begun to leak out. Unfortunately, nothing too revealing has surfaced just yet, and that doesn’t change today, either. What we do have for you though is still worth checking out, as it gives us another look at Vision in that fight scene which was teased earlier. It’s hard to say exactly what’s going on here, but it’s clear that the hero is taking a bit of a beating, perhaps from some of Thanos’ henchmen? Either way, things don’t look too good for Paul Bettany’s character. 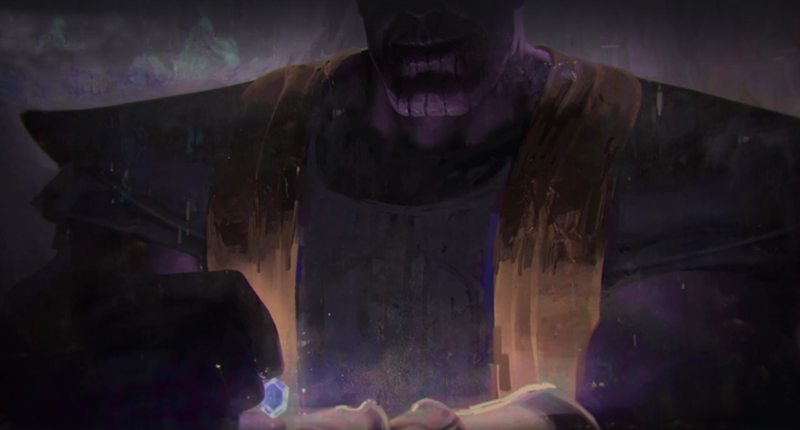 After all, the source of his powers is that Mind Stone lodged in his forehead, which also happens to be the very thing that the Mad Titan needs to complete his Infinity Gauntlet. If this really is it for Vision, he’ll definitely be missed. Still, heroes will fall next summer in Avengers: Infinity War, and Vision may be just one casualty of many. While we can’t say for certain what will become of the android, what we can tell you is that this movie is going to be absolutely massive, in every sense of the word. Though Marvel has yet to release an official cast list – seriously, when can we expect that? 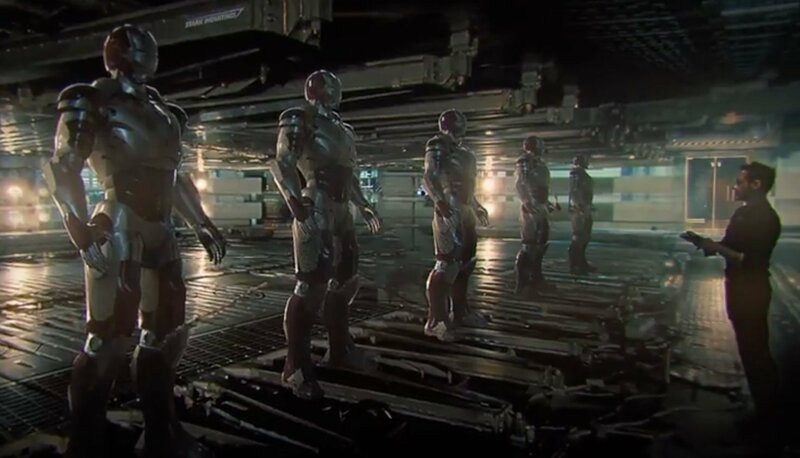 – from what we’ve heard, just about every MCU character currently breathing will be involved. Doctor Strange, the Guardians of the Galaxy, Spider-Man…..the list goes on. And it won’t just be the heroes, either, as numerous supporting characters from the various Marvel films will be getting in on the fun, too. Suffice it to say, if you’re a fan of the House of Ideas, you’re probably going to have a very good time when you sit down to watch this movie. That is, as long as the Russos can balance everything properly. 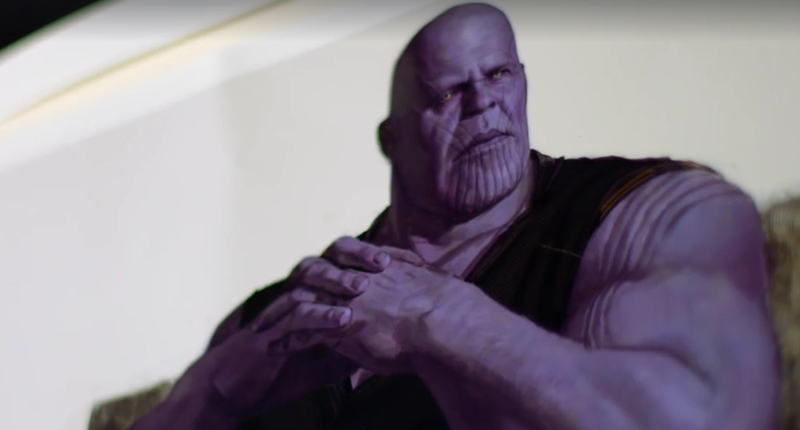 There’s a lot to juggle in Avengers: Infinity War, with both the characters and story, and it won’t be an easy task putting all the pieces together. Ambitious doesn’t even begin to describe the film, but if anyone can pull something like this off, it’s Marvel. Hell, it’s what they’ve been working towards for a decade now. You’ve got to believe that enough planning and care has gone into it. Either way, I guess we’ll find out soon enough, as Avengers: Infinity War will be with us in just over a year, as it’s set to smash its way into theatres on May 4th, 2018. Until then, check out the new photos of Vision above and be sure to stay tuned for more.